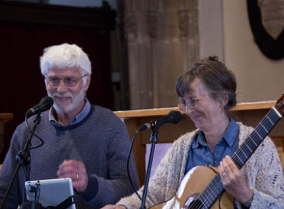 Saturday 11th May - The Summerhouse Band at Temple Street Canteen, Temple Street, Keynsham, 7.30 - 10.30pm, tickets £6 (or more if food included) from Temple Street Canteen or online. Follow this link for more information Temple Street Canteen 11th May. 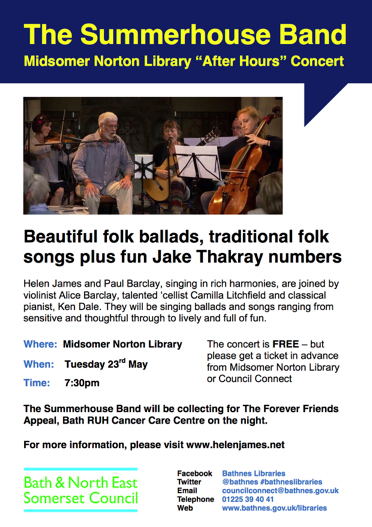 Saturday 18th May - The Summerhouse Band in a Forever Friends Appeal fundraising concert with Key Voices and The Saturday Singers at Victoria Methodist Church Keynsham. More details soon…. 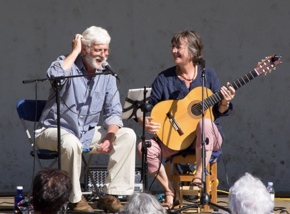 Saturday 15th June - Helen James solo guitar at Temple Street Canteen, Temple Street, Keynsham, 11am. Free event, donations to the Forever Friends Appeal at the RUH for the new Cancer Care Centre. Drop in anytime for coffee and/or lunch! 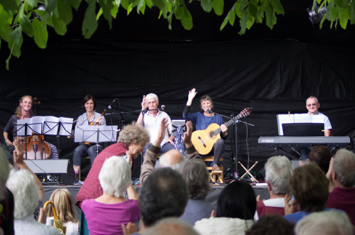 Thursday 4th July - The Summerhouse Band at The Chocolate Quarter, B Block Restaurant, for Keynsham Music Festival. More information soon…. 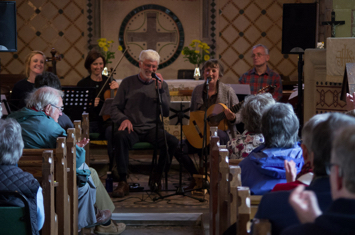 Sunday 15th September - The Summerhouse Band in Priston Festival More information to come later…. 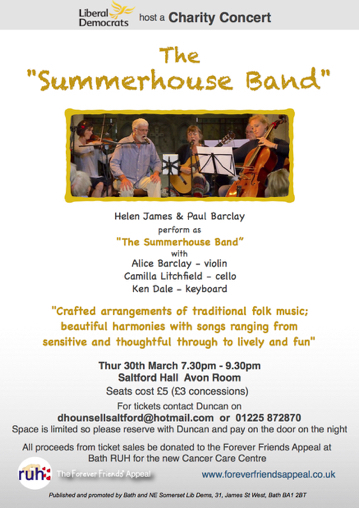 Tuesday 29th September - The Summerhouse Band at Bradford on Avon Folk Club The Swan Hotel Cellar Bar, Bradford on Avon.